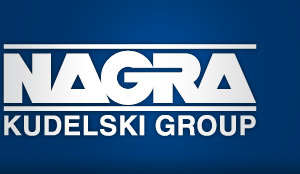 Why Work at Kudelski Group? Global Leader in Our Core Industry - With around 30% market share, we are the global leader in digital TV security. Our solutions secure 90 billions of revenues for over 500 customers. Strong Growth Momentum - We are constantly growing our teams. Innovation Focus - We take great pride in our expanding and industry-recognized patent portfolio. We have an internal innovation program to select and implement innovative and entrepreneurial ideas. Innovative Products - Our products and solutions are leading the market in terms of security robustness, user interface & experience, industrial design, etc. High Impact & Challenging Projects - We contribute to the development of products which are installed in millions and millions of homes all around the world. We meet the challenges of ensuring uncompromising security and reliability of products deployed over satellites, cable networks and the Internet. Latest Technologies & Methodologies - We work with the latest software and hardware development tools, we leverage the latest software engineering methodologies to deliver quality with speed. Do the Right Thing the Right Way - We want to be exemplary in everything we do, individually and collectively. Our requirement for uncompromisingly ethical behavior is a major strength and a distinctive competitive advantage in our market. Integrity and Respect is one of our company's values. Think Customer First - We aim to always exceed our customers' expectations. We take a long-term view and build a sense of partnership with our customers. We seek feedback from them to continually improve our products and services. Performance Focus - We apply best-in-class processes and drive constant improvement to achieve operational excellence in all areas. We are not afraid to take balanced risks, make decisions swiftly and we get things done. Continuous Learning - We give our employees access to a wide range of online and class-room technical, functional, and soft-skills training courses. We also put particular emphasis on on-the-job coaching and stretch assignments. Multiple Career Tracks - As a technology company, we want to give our engineers a path to grow in the technological field. Our employees can grow and develop themselves in our three career tracks, technical, professional, and managerial. Internal Mobility - We actively promote internal moves of all kinds to help our employees to achieve their potential and aspirations, including jumps across career tracks, business units, promotions or relocations, etc. More than 10% of our employees change position internally every year. Results-Oriented Recognition - We take pride in our employees' achievements. We recognize and reward their performance and accomplishments and convey the appreciation of our company and our customers for their contributions. Competitive Compensation & Benefits - We align the compensation & benefits of our employees to the roles they perform in the markets we serve. Our programs are regularly benchmarked to ensure we remain competitive. Flexible Work Environment - We provide formal and informal activities, tools and resources to help our employees manage their personal responsibilities while meeting our company's business goals.